What Does Marketing Automation for Credit Unions Cost? Who knew that not-for-profit enterprises would ever have to be careful about their budgets? Okay, I guess we could all see that coming. Generating and managing revenue is especially difficult for credit unions, but it’s necessary. In today’s blog, we’ll look at the cost of marketing automation for credit unions. If you work in the marketing department of a credit union, you’re probably already familiar with some marketing automation software. Generally, automated marketing helps manage email, social media, and other repetitive tasks. Depending on the application, some automation software can make the work of one person seem like the work of ten. But that increased efficiency comes at a cost. Is it a cost that your credit union is prepared—or able—to pay? We’re not saying it’s an easy task to make room in a tight budget for one more marketing solution. Marketing automation isn’t some silver bullet that will magically address and alleviate your pain points. Unfortunately, that makes it a tougher sell to some credit unions. However, before dismissing outright any marketing automation for your credit union, consider the numbers. While we can’t give exact numbers—those depend on which services you use and are considering—we can say that marketing automation software is surprisingly affordable. Some of the more robust email marketing platforms cost more than robust automated solutions with far more functionality. 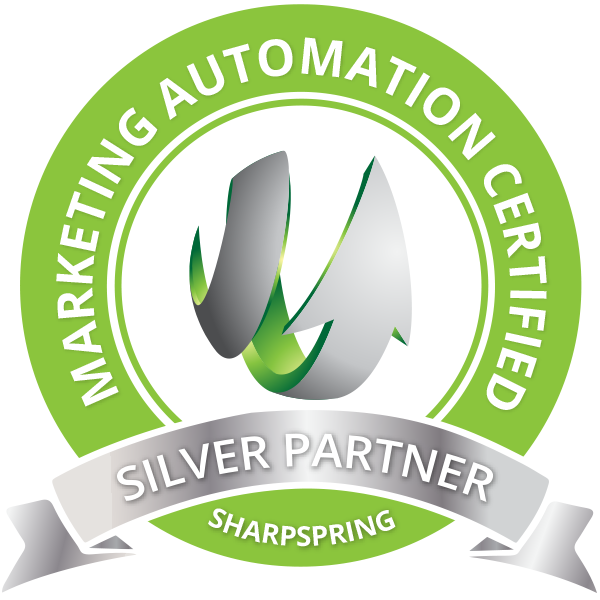 For example, the email marketing tool Emma costs more than the automation platform SharpSpring. HubSpot costs only a little more. If your credit union is already using marketing tools, there’s a high chance that replacing them with an automated solution won’t significantly impact your bottom line. The difference could be less than a couple thousand dollars per year. But What if It Ain’t Broke? Why Fix It? Automated marketing for credit unions is more complicated. That complication presents a hurdle to adoption. While most marketing automation platforms offer outstanding training and support, it can still sound overwhelming. Considering the implications on time and productivity during adoption and conversion, one might ask, why switch at all? Things move quickly in the world of technology and finance. Disruption is the new normal. Credit union marketing departments need every edge they can get to stay in touch with their members. Being able to reach the right people with the right offers at the right time is critical. Marketing automation ensures that your members—both prospective and current—don’t slip through the cracks. The Stash Apps and Acorns banks of the world aren’t going to let up anytime soon, and neither should your credit union. Staying in front of members and continuing to provide value gets easier with automation. Formerly tedious projects become background functions. Plus, having one person do the work of several sounds pretty good, doesn’t it? Hopefully we haven’t painted too bleak a picture. Ultimately, we think that marketing automation for credit unions is—and will continue to be—the new standard for member engagement strategies. In our view, the cost of moving to automated marketing is minimal. In some cases, it may even save your credit union money while expanding its capabilities. If you’d like to read more about marketing automation for credit unions follow the links below! Plus, if you follow our blog, we’ll keep you updated with salient features in the credit union industry, plus developments in AI, machine learning, and innovative fintech partnerships. Do you want to learn more about SharpSpring? Well CU2.0 is a certified partner and we’d love to give you a free demo. The Americans with Disabilities Act (ADA) is a core piece of civil rights legislation banning discrimination on the basis of disability. Title III of the ADA mandates that businesses remove structural barriers and other impediments that curb access to an establishment including website access and usage by visitors with disabilities. This post will present key factors influencing an effective website accessibility strategy for credit unions. In 2010, the US Department of Justice’s Advanced Notice of Proposed Rulemaking announced that the department aspires to update Title III of the act to cover website accessibility. A final ruling is expected to be delivered in 2018, defining the official standard for website accessibility and detailing specifically what businesses will need to do to comply with the law. Because of the sensitive nature of their data, credit unions will fall under a higher degree of scrutiny than less regulated businesses, so it is critically important that credit unions comply with a law that will be more tightly interpreted going forward. In August 2016 the Department of Justice ruled against the University of California at Berkeley in a lawsuit because the college’s YouTube channel did not utilize captions that would assist the hearing impaired. The DOJ recommended that UCB and other companies who serve the public adopt the second generation of the World Wide Web Consortium’s (W3C) Web Content Accessibility Guidelines (WCAG), a fact that leads web accessibility experts to believe that the 2018 ADA amendment will be based on the WCAG 2.0 AA standard. Comprised of four overarching principles and 12 guidelines that include acceptance rules, the WCAG 2.0 framework comprises a set of testable criteria and technical benchmarks that align with the charge to design high-quality web and mobile experiences for people with disabilities. To achieve WCAG compliance, a business’s applications must adhere to the following principles. Understandable: Data presented including instructions along with the operation of the user interface must be clear and coherent. The full detail of the standard can be found by reading the WCAG documentation, but below is a brief overview of the guiding rule set. 1.1 Present text alternatives for images, videos or any non-text content so that it can be converted into an articulation people with disabilities can interpret, including large print, braille, speech, symbols or simpler language. 1.3 Create content that can be presented in different ways (for example simpler layout) without losing information or structure. 4.1 Make sure content and components are accessible to commonly used assistive technologies. Credit union website accessibility compliance will become a fundamental part of the regulatory environment in the months to come. Consider a website accessibility strategy as part of the new website basics framework. Forward-thinking credit union leaders would be wise to immediately retrofit their websites, update mobile applications, and retool digital design workflows to meet the WCAG 2.0 AA standard. These steps alone will help mitigate risk and provide an optimal experience for customers including those with disabilities. Have you ever sat down at your desk and thought about your marketing strategies? Is your credit union still relying that someone will drive past, see your sign, and just decide they want to come in and bank with you? You know your marketing strategy can use a revamp, but where do you start? It can be daunting, but don’t feel overwhelmed – that feeling ends now. The first question to ask yourself is: Is my credit union creating EXCELLENT hyper relevant content that our members care about? So you’re sold on creating content, now how do you decide what to publish? What are your members thinking about and what questions do they have? Can it be that simple? Yes! However, don’t forget the 80/20 rule when it comes to creating and publishing this content. Creating hyper relevant content that your members and potential members are searching for online to solve their problems will give you credibility as an expert. Then, you have earned the right to talk about your solution to that problem. You build awareness for your credit union, credibility within your market, and add value. Adding value to your members is the BEST way to market your business in today’s world.